In the quest to remain relevant, the Liberal Party has done one epal action after the other. The Commission on Appointments office is still considering on whether or not to confirm Antonio Trollanes IV as as the assistant secretary of the Department of Energy. Now three new proposals to be confirmed are the following namely Bum Aquino, Leni Loud Robredo, Marbobo Roxas and Kiko Pangilinan. Bum Aquino and Marbobo will be in charge of housing projects. The fact he can labor under the heat of the sun without a bead of sweat will inspire other workers to do better. 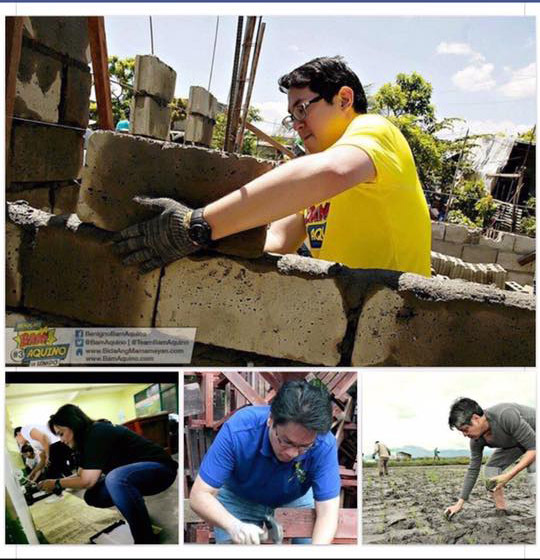 Leni Loud Robredo will be appointed in taking care of maintenance of all public facilities. Kiko Pangilinan will be appointed as the new Department of Agriculture secretary. 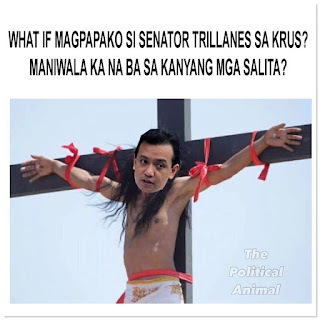 Antonio Trillanes IV may become the new energy secretary. The proposal was now passed by Senator Alan Peter Cayetano.